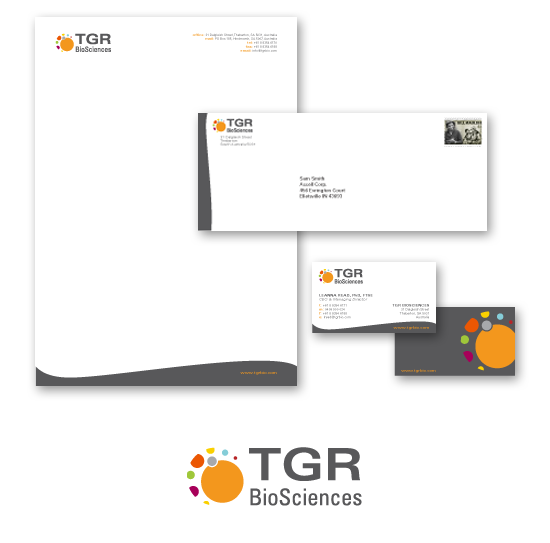 TGR Biosciences research kits focus on cell-protein interactions. As the company expanded into new markets, a new brand identity was needed that reflected a wide range of molecular interactions with simple, flexible elements. The result was a corporate identity system (including a new logo) that would not become dated with their rapidly evolving product line.